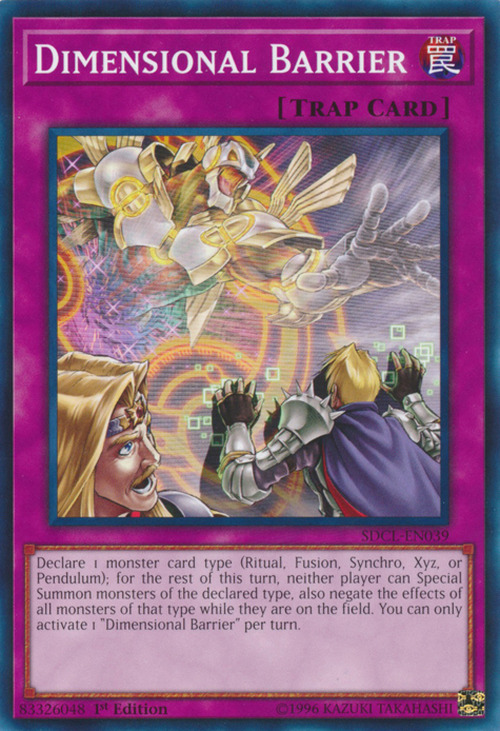 Declare 1 monster card type (Ritual, Fusion, Synchro, Xyz, or Pendulum); for the rest of this turn, neither player can Special Summon monsters of the declared type, also negate the effects of all monsters of that type while they are on the field. 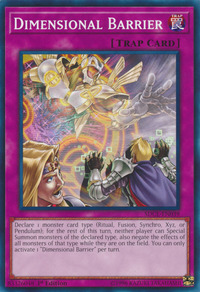 You can only activate 1 "Dimensional Barrier" per turn. Freed the Matchless General, Marauding Captain and Gagagigo the Risen appear in this card's artwork.